Should nurse Radonda Vaught face prison after overriding the electronic medication system which led to her committing a fatal error? What do you think? Nurse Radonda Vaught was arrested on February 4 and charged with reckless homicide and patient abuse following a medication error which led to the death of an elderly patient – a case reminiscent of the Kim Hiatt tragedy. The health care community is responding with shock and outrage at the implications of a criminal charge of this nature for future patient safety and the morale of health care professionals. At Vanderbilt University Medical Center, a full body scan was ordered for Charlene Murphy in December 2017, after she had suffered a subdural hematoma. Versed was prescribed as 75-year-old Murphy had expressed anxiety and reported that she suffered from claustrophobia. Vaught, who was a relief nurse in the particular ICU on the day, accompanied the patient to the radiology department and was unable to obtain the Versed from Pyxis. She overrode the system and withdrew the first medication which came up after she had typed in “Ve” – this was vecuronium, a powerful neuromuscular blocking agent that leads to paralysis. During the half-hour that the patient was in the scanner, she became unconscious and suffered a cardiac arrest. She never recovered and was declared dead the following day. 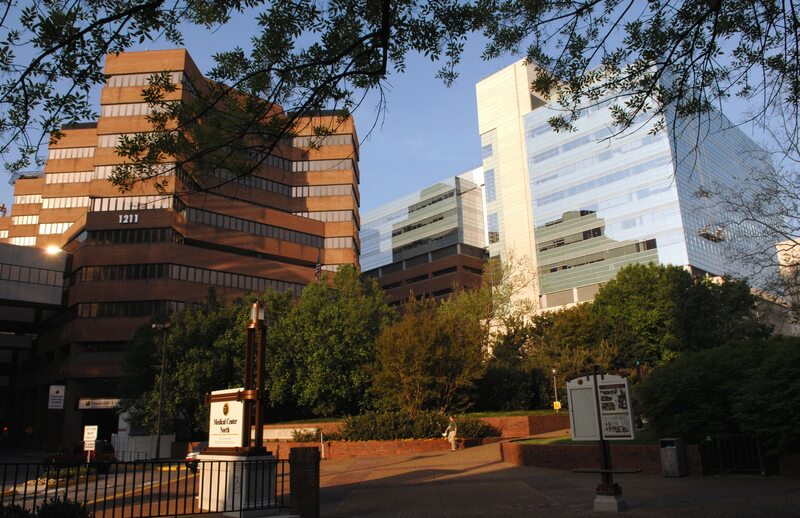 The hospital had failed to report the incident to the Tennessee Department of Health and the matter only came to light nearly a year later when it was discovered during a site survey by the Centers of Medicare and Medicaid Services (CMS). At this point, the hospital issued a statement that immediate corrective action had been taken at the time of the incident – which apparently included Vaught’s dismissal. An investigation by the CMS followed, and the prosecutors apparently built their case against Vaught on their report. “As you could tell from the CMS report, there were safeguards in place that were overridden,” wrote Steve Hayslip, in an email statement from for the Davidson County District Attorney’s Office. “By the definition of “reckless,” the defendant’s actions justify the charge.” Vaught was released on a $50,000 bond and is due in court on February 20. The patient’s family was not interested in making a civil case against Vaught. Her son told The Tennessean that he believed that his mother would forgive her and feel sorrow that a mistake was now destroying two lives. While acknowledging the fact that Vaught had clearly made a tragic and avoidable medication error, comments on the web by health care professionals are mostly expressing shock and outrage both at the criminalization of an error and that there were no apparent consequences for the hospital administration. The issues around Vaught’s arrest are highlighted in the discussion by Z-DoggMD. He emphasizes that a frontline health care provider was being thrown under the bus for a mistake that was partly contributed to by many other failures in the system. The nurse did make mistakes, but “does that mean you go to jail for that? Who here hasn’t made a mistake that’s harmed a patient?” he asks. “What we need is radical transparency…a system that helps to improve itself when we find errors…we need accountability from our leadership…” He also called for support for Vaught, whose license was not rescinded by the Tennessee Board of Nursing after they looked at her case, and said that he believed that as a second victim she was suffering enough. Frieda Paton is a registered nurse with a Master’s degree in nursing education. Her passion for nursing education, nursing issues and advocacy for the profession were ignited while she worked as an education officer, and later editor, at a national nurses’ association. This passion, together with interest in health and wellness education since her student days, stayed with her throughout her further career as a nurse educator and occupational health nurse. Having reached retirement age, she continues to contribute to the profession as a full-time freelance writer. 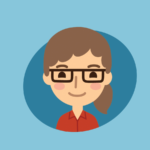 In the news and feature articles she writes for Nurseslabs, she hopes to inspire nursing students and nurses on the job to reflect on the trends and issues that affect their profession and communities - and play their part in advocacy wherever they find themselves. Accountability is a fundamental imperative to practice as we (healthcare providers) advocate and care for vulnerable populations of people in need of medical care. That said, the volume and acuity of patients has more than ever kept us working more hours with less resources creating reflexive workarounds in the interest of patient care. I am sure this nurse did a Pyxis (med override) because the Versed order and pharmacy check did not keep pace with the expediting of the actual start of the exam making the med readily unavailable. This nurse was simply trying to expedite getting the medication into the patient before she went into the machine knowing that without this it could have delayed imaging which could have potentially had a deleterious outcome. Surely there was both empathy for not wanting this person to feel claustrophobic, which if you ever experienced is absolutely frightening, and concern for making sure there was no delay in imaging which in fact would have been downright negligent if she held up a scan when essentially the med would have been available by other means. This name, shame and blame course of action will for sure have a deleterious outcome on future events and surely perpetuate many more if she is to be indicted on a homicide charge. There is a culture of safety that must be enforced whereby all variables leading up to the event are included in the development of a root cause analysis. Do you think when a commercial pilot overrides a failed auto deploy and deploys a wing flap manually on landing approach that then fails causing a crash and injuries should be indicted for negligence. Absolutely not, he/she took timely action based on the situation at hand. 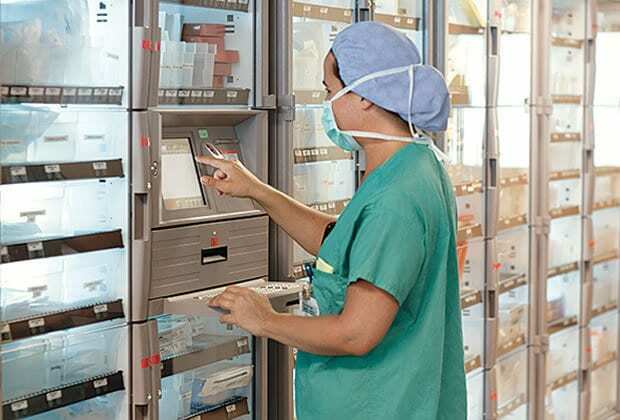 Who is to say that the pharmacy tech loading the Pyxis did not place the Vecuronium in the correct dispensing pocket, that of which also occurs in the world of electronic medicine dispensing. Why was this not reported by the hospital? What the nurse did was an honest and unfortunate mistake. What the hospital failed to do was egregious in not filing a proper report;something really stinks there. This is all too unfortunate and equally as absurd and sets a course of action completely contrary to an already overburdened healthcare system that is struggling to maintain patient safety in these adverse working conditions. 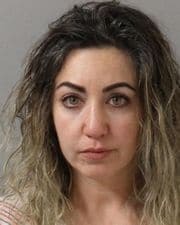 Putting this nurse in jail, taking away her license and labeling her a murderer will not lend opportunity for institutions like Vanderbilt to protect their patients or their staff from future occurrences. This sets a precedence of irresponsible and thoughtless action on behalf of Vanderbilt’s administration. This nurse did not start her day out with the intention to hurt someone; on the contrary, she probably started her shift out like the rest of us hope we don’t make a mistake amidst an overworked, understaffed working environment wrought with stress, fatigue and expectation to critically think and function flawlessly. This nurse was a “relief nurse” which essentially means they where probably down staff and needed a nurse to jump in and staff a nursing unit and fill a nursing hole as we say in the business. So there was a margin of operating duress departmentally to begin with. If the hospital or state boards of nursing pursue this any further then they too should be indicted for not respecting the wishes, posthumously, of the deceased patient, whose family (probably proxy as well) indicated she (the patient) would not want this for this nurse and would have forgiven her. They are an ethical violation of patient rights by not honoring patient wishes. While that may sound like a stretch take time to think about it. Stop this before it creates a very hazardous healthcare delivery system of reluctance to treat or work under less than perfect situations leaving our vulnerable population of sick people in a more deleterious place than before they arrived to the hospital for care. Ridiculous!. Let’s hear more about the failure to report actions on behalf of the hospital and legal actions they face while trying to run distraction and put the last nail in the coffin of this nurse’s career. A career that commits to benevolence, compassion, and selflessness. I teach my nursing pharmacology students that you never give a medication that you do not understand (right knowledge). Also, there are 12 Medication Rights, not 6, not 5. There are 12 Rights. I feel sorry for the patient and their family. This nurse did not know that this was a NMBA and she did not know what a NMBA would do. It is a nursing medication error and these are reported approximately 500,000/year. “Just culture” is something that I disagree with. I have seen nurses kill patients and the hospital holds them blameless, but the physician or surgeon get sued. Just culture has no place in medicine. We all need to hold each other accountable. In my opinion, such actions as making a nurse solely responsible for a patient death that was not reported by the hospital is bound to make a bad situation worse. We already have a serious nursing shortage in this country, and it’s getting worse by the year. Even with the repeated choice of nurses being the most trusted profession, students are not attracted to nursing. When it becomes obvious that to be a nurse you have to be prefect, all the time, even fewer students will go into the profession. The hospital, in throwing this person under the bus is cutting off their nose to spite their face. Yes, we all agree the nurse made a very serious mistake, a mistake that caused her patient the worst consequences possible. I’m certain that even without this overreaction by her employer, she will be sorrowful about it for the rest of her life. I fault the hospital more than the RN. She was a float coverage RN and while yes, she committed many workarounds that bypassed safety, based on what was reported Vanderbuilt had many serious issues with setting the RN up to fail! Shame on them for not reporting, which leads me to believe they knew they were wrong by not having in place more fail safes. They are a equally culpable as the RN involved. I am a hospital pharmacist who has been a med safety officer. Just culture works when applied appropriately. I realize I may not know the whole picture here, but I can say I was shocked and deeply disappointed when I heard of the manner in which this tragic event was handled by the C-Suite. Contributing to underreporting of medication errors will do way more harm to our patients in the long run, and this we cannot afford. I think it is obvious that the hospital is trying to make the nurse a scapegoat. I think she did not have ICU experience, and should not have been a resource nurse in the Unit. Like every other ICU nurse, I have given Versed a million times and it is thick and viscous. I would know the vercuronium was the wrong med. Nurses are responsible for their actions, place blame on the hospital and administration all you want. This is why you hold a license because you are accountable. I hope she spends years in prison and Shame on the Tenn. state board of nursing for not revoking her license. Why on Earth would you want her to spend years in prison? Well…I have been a nurse since 1993. I understand fatigue, frustration, and medication errors. Regardless of time constraints etc, she should not have overridden the Pyxis. This was not an emergency. Since she did, she had even more of a responsibility to make sure sure she was giving the correct med. The other issue is taking the first med that came up. What?! She obviously did not read the container or recheck the order. She is responsible for this woman’s death. Should she be prosecuted? No…she will spend a lifetime doing that herself.